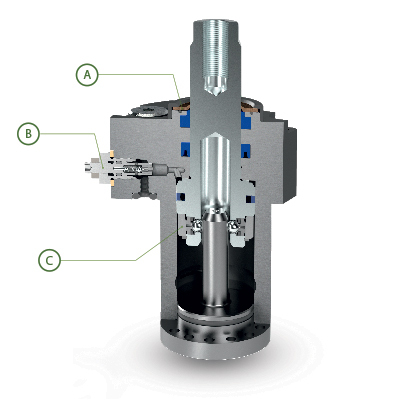 Double-acting cylinders with high clamping capacity. Available with guided or freely moving piston rod, partly or completely built-in body and in block version. Rated for operating pressures of up to 500 bar. 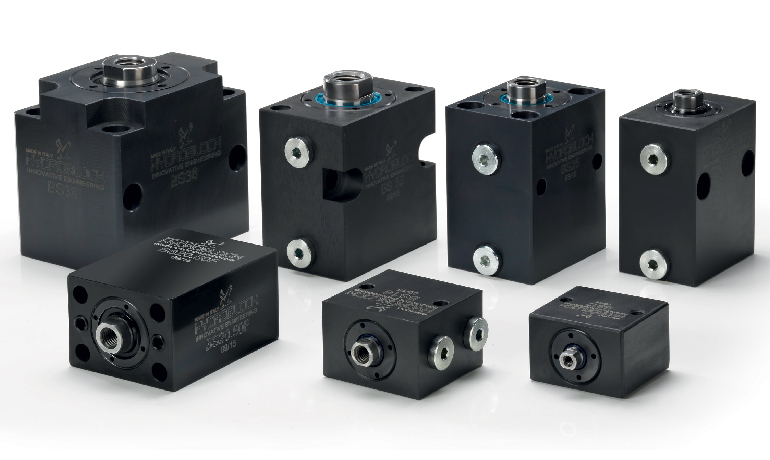 The linear pull cylinders of the CT series are equipped with a clearance-compensating piston guide system designed to minimize wear. They are thus particularly suited for long operating times. 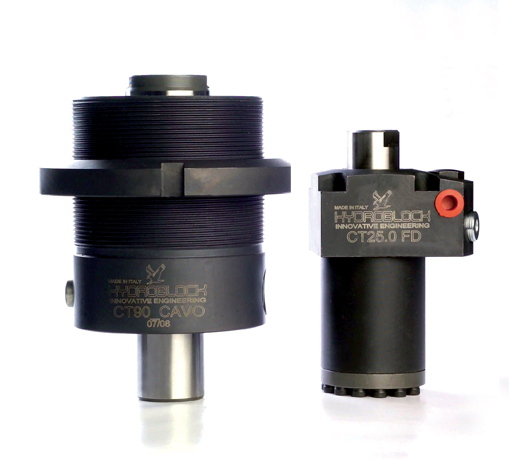 In the standard version, linear BS block cylinders of HYDROBLOCK are not equipped with a piston rod guide system. For this reason, no particular measures are required when mounting accessories to this cylinder type. We recommend, however, fixing the piston rod when screwing in the mounting screw. NOTE: In addition, a stop should be provided on the mounting support behind the cylinder in order to prevent resulting shear forces from acting exclusively on the mounting screws.